Dimmable LED Touch Lamp is great for home, office or dorm room. Just tap the touch button once. Adjust the intensity of the light by continually tapping the touch button until your desired level of brightness. 3 brightness settings to choose from! 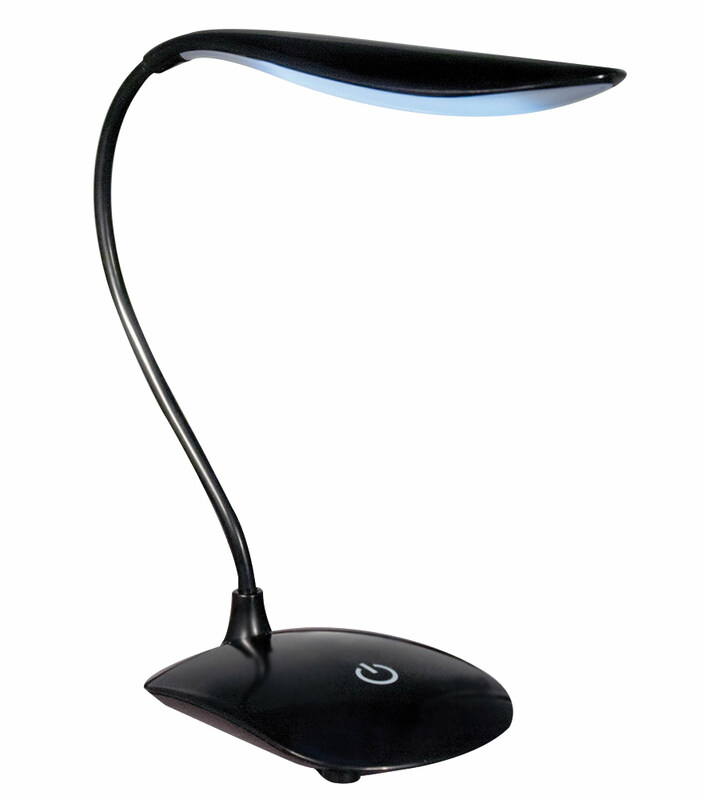 Gooseneck design is flexible and can be adjusted to suit any space for reading or doing tasks. No outlet needed-- uses 3 AA batteries (not included). Package contents: dimmable LED touch lamp, user manual and one-year warranty card. Base measures 5 1/4 x 3 3/4 in. Gooseneck with lamp straight up measures 15 1/4 in. high.